CHANDIGARH: Arvind Kejriwal's Aam Aadmi Party (AAP) is set to contest all 13 Lok Sabha seats in Punjab, despite a virtual split in leadership of its state unit. Delhi Chief Minister and party convenor Kejriwal arrived in the state on Sunday to launch the party's election campaign for the Lok Sabha polls. 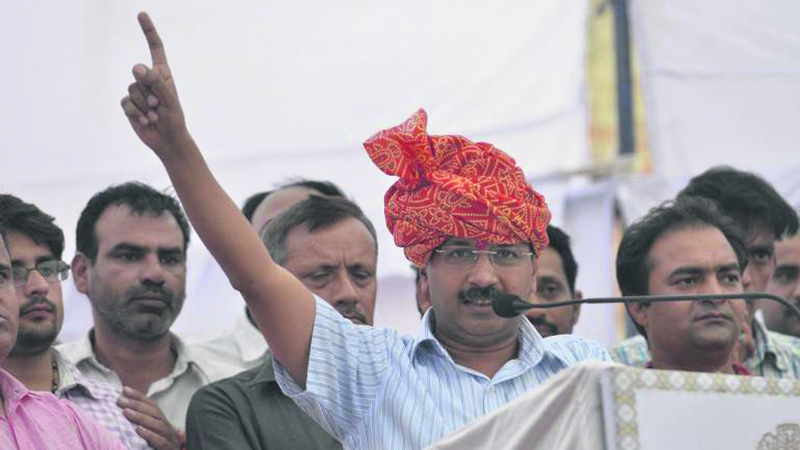 Speaking to the media in Sangrur, Kejriwal said, “People want a change. They are fed up with the Modi government. The BJP will lose in the Lok Sabha elections.” He met senior leaders of the AAP Punjab unit, including MP Bhagwant Mann, leader of opposition Harpal Cheema and legislator Aman Arora. The party has already announced the names of five candidates for Lok Sabha seat in October. The seats are Sangrur, Faridkot, Hoshiarpur, Amritsar, and Anandpur Sahib. Two AAP MPs from Punjab, Dharamvira Gandhi and Harinder Khalsa, who were suspended from the AAP in August 2015 for taking on the AAP leadership, have not been named as party candidates so far. Their suspension has also not been revoked. The party has two sitting Mps - Bhagwant Mann (Sangrur) and Sadhu Singh (Faridkot). AAP had won four Lok Sabha seats in Punjab in the 2014 general elections. Party candidates then had put up a good fight in other constituencies too. However, AAP could not win a single Lok Sabha seat anywhere else in the country in that election.